Branson Landing is one of the best shopping spots in the Ozarks that offers everything you need for your gift giving ideas this holiday season. This shopping place is without a doubt the best place to shop as it houses hundreds of retail outlets offering latest trend in fashion and top brand names that can make your Branson shopping incomparable. With awesome shops, fine restaurants, and spectacular fountain show, there is no other great place to hang out by the lake. If you are looking for unique gift items, Branson Landing is the place to go. No matter what part of your vacation itinerary you want to do first during your vacation in Branson, whether it is visiting exciting attractions, watching entertainment shows, or enjoying the great outdoors, you’re sure to spend a little shopping in between. What is more interesting is that you are in a place where shopping is easy, convenient and full of surprises – thanks to hundreds of retail shops and eateries that can help make your vacation in Branson a fantastic one. While you are spending a wonderful time in this popular shopping destination in the Ozarks region, don’t miss the chance to stroll along Lake Taneycomo and browse the eclectic shops at Branson Landing where you can enjoy unique Branson shopping at Belk Department Store that features popular brands from Liz Claiborne to Nike. For visitors who are sport enthusiasts, don’t miss to visit Bass Pro Shops at Branson Landing where you can find everything you need for your next outdoor adventure. The landing also features a variety of niche shops like Cardinals Clubhouse with wide selection of St. Louis Cardinals gear and ladies apparel. Branson Quilts is another great shop that you can find in Branson Landing that offers amazing selection of décor including bedspread and other unique gift items such as a comforter for your loved one. 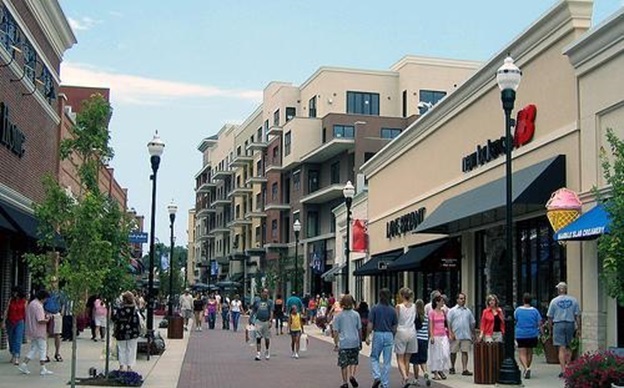 If you want to continue shopping outside of Branson Landing, a short stroll from here will take you to some of downtown Branson’s famous shopping spots. If you’re a fan of craft items, you can check out Plum Bazaar where you can find beads and supplies to help you make unique jewelry and other gift items. If your hungry tummy tells you to find a nice dining place that offers awesome food, you can always go back to Branson Landing and look for fine restaurants offering delicious cuisine. For many years, this shopping destination in Branson has become a haven for some of the finest restaurants in the Ozarks. Some of the dining venues in the Landing can be found along the 1.5 mile paved path in front of Lake Taneycomo. Some of the popular restaurant choices in the area include The White River Fish House, Waxy O’Sheas’ Irish Pub, Liberty Tavern, and the Cantina Laredo. So, if you are looking for the best gift idea that you want to give this holiday season, check out Branson Landing as it features hundreds of shopping outlets.